Has an abundance of Vitamin D desensitized us to our relative economic decline? As we enter the holiday season with the “Trump bump” in the stock market and a steady stream of accolades for President Obama’s economic stewardship in light of our declining unemployment rate, it is important to consider whether Santa Barbara County is on sound financial footing. History has taught us (repeatedly, unfortunately) that overly optimistic economic predictions can lead to poor policy choices that, in turn, can have disastrous impacts on our public finances and quality of life. Misplaced economic optimism has, for example, caused our County’s public employee pension costs to soar over the past two decades. This enormous expense – well over $100m a year – has, in turn, eroded funding for our parks, roads, and government buildings, contributing to an unfunded deferred maintenance backlog of well over $300m. Notwithstanding this and other patent weaknesses in the County budget, many economists would have us believe that the County is on the verge of returning to economic easy street. Indeed, it has become quite fashionable of late to celebrate our economic good fortune here in sunny Santa Barbara County. When the latest jobs report was released before Thanksgiving, our unemployment rate was 4.6%, which caused one prominent economist to declare that we had achieved virtually full employment through solid and stable job growth. Just three weeks earlier, another prominent economist proclaimed that economic conditions in our area were much better than most people realized, and that this would be clear to anyone considering the correct statistics. We accepted this challenge and decided to research a few key statistics that provide a clear window into the economic health and vitality of Santa Barbara County. It turns out our skies are only partly sunny. With regard to our unemployment rate, the year-to-date average for 2016 (rather than the October rate, standing alone) is roughly 4.9%. Although this may seem low, this number must be put in historical perspective. From 1993 – 2007, Santa Barbara County achieved a lower annual unemployment rate in eight different years, notwithstanding the bursting of the dotcom bubble and the 9/11 attacks. How is it that we have come to celebrate a “new normal” of substantially higher unemployment and poverty levels than we achieved just a decade ago in the three years preceding the Great Recession? Indeed, the comparison with Sonoma – a county that our County government uses as a budget benchmark because it is very similar to Santa Barbara on several measures, including total population and workforce – is particularly unflattering. Notwithstanding the presence of UCSB, SBCC, and the Goleta Entrepreneurial Magnet, Santa Barbara County has a lower percentage of higher-paying jobs (e.g., Information, Financial Activities, and Professional and Business Services) than Sonoma County. More troubling is the fact that Sonoma’s unemployment rate is not only .7% lower than Santa Barbara’s, but its current poverty rate is an astounding 4.6% lower than Santa Barbara’s. These simple statistics demonstrate that we can and should be doing better as a County. We have excellent schools, successful entrepreneurs and established businesses, green developers, and some of the best weather in the world. There is simply no reason we should accept the new normal – historically high unemployment and poverty levels combined with historically low investments in public goods. So other than moving north along the coast, what can Santa Barbarans do to raise our economic expectations and improve our economic health? We must start by taking off our rose-colored glasses and forming a realistic picture of the economic conditions in our County – a picture we have started painting in this piece. Then, for those areas where the County is ailing economically, we need to accurately diagnose the underlying causes. Lastly, we need to develop policies that remedy these maladies in ways that are consistent with our strengths and community values, but do not sacrifice economic vitality in the name of those values. We intend to track progress on each of these issues in the weeks and months to come. Editor’s Note: This piece was slightly revised and republished with permission from Reason in Government. Today, civic engagement is at record lows. Partisanship and polarization are leading us down the primrose path to a less prosperous, secure, and civil country. It is time for Generation X+ to trade apathy for action and force our elected leaders to debate and solve the biggest problems facing the country and casting an increasingly long shadow over our children's future. 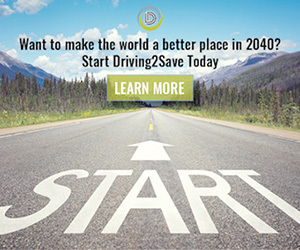 2040Matters.com identifies and advocates for solutions to the most significant challenges facing Generation X+ over the next 25 years – challenges undermining our security, prosperity, quality of life, and commitments to our children. You can help us make a difference. Start today by adding your voice to those calling for the government to repair the American Dream for younger Americans before it is too late.